Kathryn has previously obtained a B.Sc. in Genetics and Zoology (2009) and a M.Sc. in Genetics (2011) from the University of Otago in New Zealand. 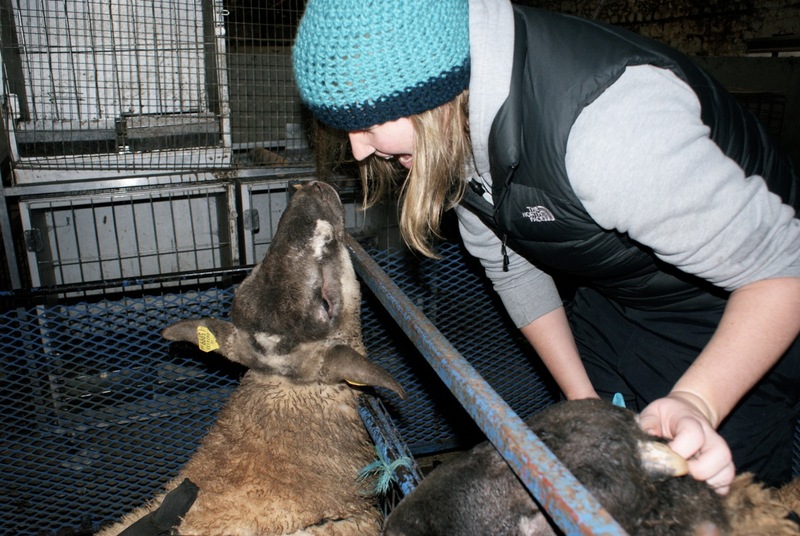 Kathryn’s Master’s thesis, under the supervision of Dr. Neil Gemmell (UoO) and John McEwan (AgResearch), looked for selection signatures in the genome of sheep selected for resistance or susceptibility to gastrointestinal nematodes. 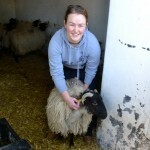 In early 2011 Kathryn moved to Ireland and commenced her PhD. 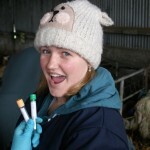 She is primarily based at Teagasc Grange (www.teagasc.ie/animalbioscience/) under the joint supervision of Dr Orla Keane. 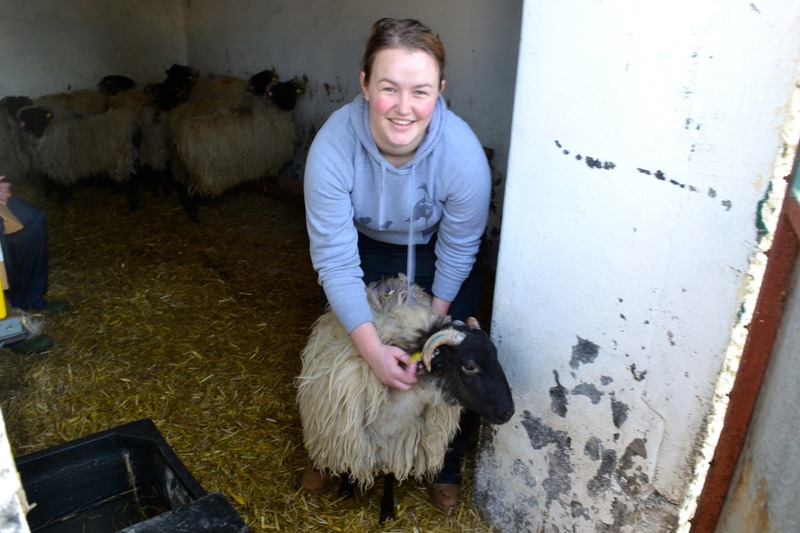 Her project aims to identify variation in the sheep genomes controlling gastrointestinal nematode resistance. Gastrointestinal nematodes are one of the most serious causes of disease in domestic ruminants worldwide. Breeding animals that are less reliant on anthelmintic drenches is a viable alternative method of disease control, particularly with the growing need to minimise chemical residues in food products. Recent advances in genome sequencing technologies (RNAseq) provide new opportunities to help understand the processes of infection and disease, and subsequently use this understanding to control parasite infection. Parasite infections challenge the sheep’s immune system, and as a result of regular challenge, positive selection occurs in key immune genes in the sheep genome. Over time this can result in the appearance of resistant alleles, which confer a selective advantage. The selective pressure caused by parasites will leave a genetic footprint for positive selection, and searching the sheep genome for these selection footprints can help identify key genes, amino acid positions and pathways important in disease resistance. 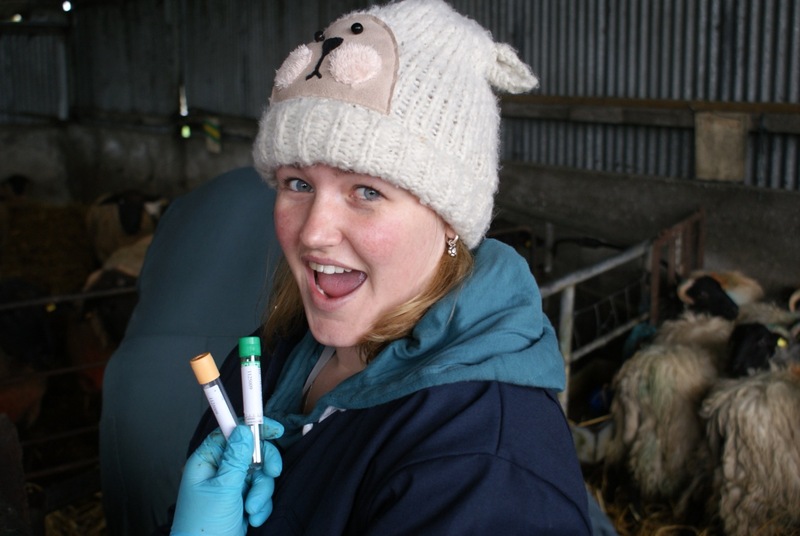 Kathryn’s work is funded by the Teagasc Walsh Fellowship scheme. 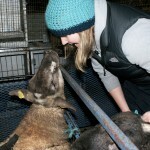 Kathryn has also been awarded the Allan and Grace Kay Overseas Scholarship for the duration of her PhD. 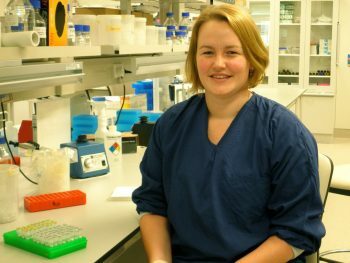 Kathryn’s work has been selected for Oral presentation at the World Associated for the Advancement of Veterinary Parasitology 2013 annual conference in Perth, and she has been selected for the associated graduate student travel award. Kathryn is also the 2013 Merial Award holder from the Irish Society for Parasitology. Kathryn successfully defended her PhD in September 2014 and is currently a Postdoctoral researcher in her home land of New Zealand. Mission accomplished – samples !